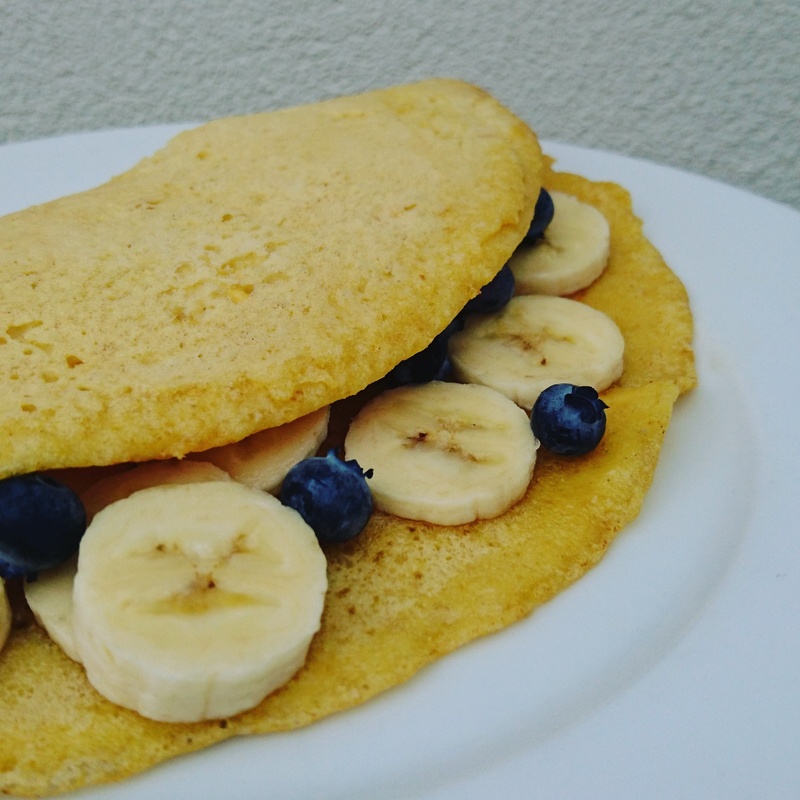 Pancakes are not the most healthy foods, but this version is made with chickpea flour instead of regular flour. Mix well until you have a smooth batter. Heat a little oil in a frying pan and add a cup of the mixture to the pan once it’s hot. If the pancake becomes solid, carefully flip it over to bake the other side. Serve the pancake for example with a little honey and fresh fruit. Posted in Babylife, BreakfastTagged Babylife, breakfast, pancakeBookmark the permalink.